Being in a corporate environment, working for a large company, can leave you feeling trapped under loads of pressure. You have pressure from your boss to perform, pressure to meet deadlines and pressure to go above and beyond expectations in order to get that 5/5 on your performance review. All of this might seem impossible because your time is swallowed by your day-to-day tasks. You are also pressured to fit into the corporate culture and bite your tongue while dealing with individuals that are, let’s say difficult. All this work to manage office conflicts, and expectations, while getting piles of work done is absolutely draining, and doesn’t leave you feeling like you’re making any significant impact. The problem was that I knew I wanted to get out, but I didn’t know where I wanted to go. Fresh out of University, I had expected the workplace to be full of opportunity and exciting decisions. Instead it felt like a bunch of chores that I had to do to fulfill someone else’s vision. Knowing that I wasn’t going to be able to do that for long, I changed my path to one destined for fulfillment. Stop doing what makes you unhappy: There is a difference between having bad days at work and never having good days. If every morning is a struggle to wake up knowing that you have to go to work, and all you think about is when the day is going to end, you’re probably in the wrong place. This might not be step 1 for everyone though! If you have pressing financial obligations, leave this step for last! Take some classes: The world is changing every single day, and if you’re not learning, you will inevitably get left behind. Keep your skills up to date, learn new ones, sign up for classes, watch tutorials, just aim to learn something new every day. Create: If you have ideas floating in your head, that go something like, “it would be cool if…” or “what if I did….”. There is no better advice than, just do it. There is no time like the present and once you start creating, you’ll be surprised at how many more ideas pop into your head. Maya Angelou once said, “You can’t use up creativity, the more you use, the more you have.” She is absolutely right. Your creations will only improve with time, and you can’t improve if you haven’t created anything to improve on. So whatever your passion, whatever you are *DrivenBy…*, just start. Utilize your network: Once you begin your creative journey, tap into your existing network for feedback. Your friends are a great support system as you begin your journey. Word of mouth is valuable and your friends will help spread the word. Research: Make sure that you understand the industry that you are getting into. Every decision that you make as you grow your craft or your business should be supported by some kind of research. You will make mistakes along the way and you will learn from them, but you should always be able to explain why you did something. Keep Going: At times you might feel like what you’re doing might not be worth it and might not be getting you anywhere, but just keep going. You are building something to remember and you have something to show for that. Keep in mind why you started and fall in love with the journey, not just the destination. To me, success is simply loving what I do. Although my weeks go well beyond 40 hours of work, I am still excited about everything that I am doing. Being able to create and work on everything and anything “DrivenBy…” has brought me more happiness than any corporate job could offer. So my advice to you is to know what you are driven by, and follow it. You’ll be happy to see where it takes you. 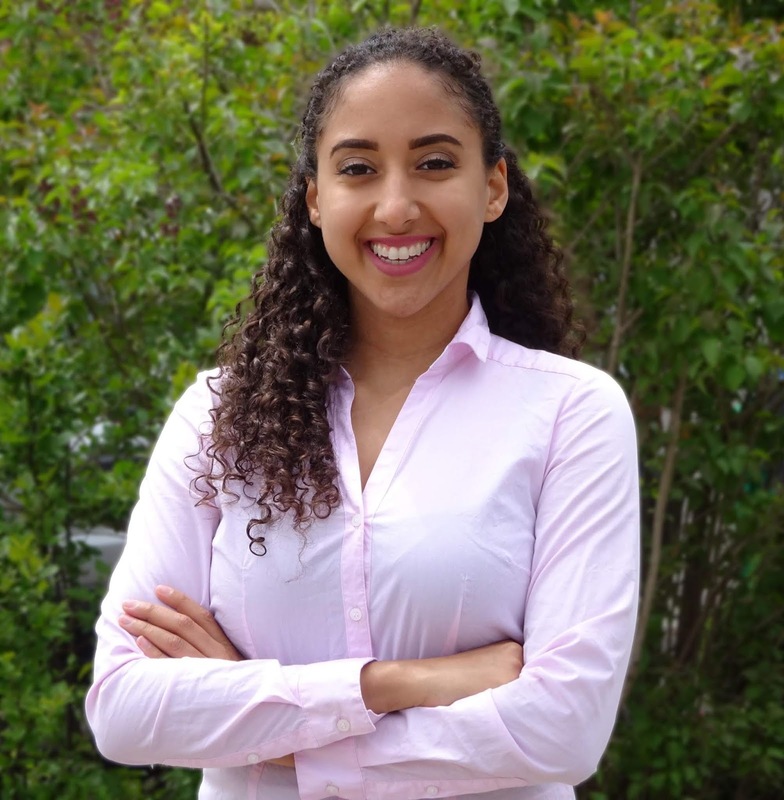 Diondra Filicetti is a highly dedicated and hardworking individual who always strives for excellence. Diondra is always available to support her fellow peers by encouraging them to follow their passion, do the things that make them happy, and be all that they can be. Diondra never misses an opportunity to learn something new. With education in marketing, graphic design and print media, Diondra possesses the foundation necessary to create and build new brands. A strong desire to help others find fulfillment and happiness has lead her to launch a variety of community initiatives through her clothing brand DrivenBy… in addition to donating a portion of profits to the Boys and Girls Club of Peel. As an extremely energetic and determined individual, she always puts in 125% effort, letting nothing stand in her way. Driven By...™ is an apparel line defined by understanding and sharing what motivates us as individuals and showing pride in that drive. We often do not take the time to assess our own motivations and as a result it is difficult to communicate what drives us. Driven By...™ is meant to promote those thoughts, those self-assessments and really reflect on why you wake up each day and do what you do. Really understanding what is important to you and what drives you is essential in helping you find that sense of accomplishment when you reach your goals. Be proud of your drive and represent it each and every day. Having a strong family relationship is important as it contributes to the happiness of the members of the household. Characteristics of a healthy family vary between households depending on what the family members do to bond. A lot of individuals wonder what makes a healthy family. With how our society is built, the primal focus is on working and attaining wealth and not on bonding with friends and family. Therefore, a lot of individuals do not have enough time with their family members as they are always busy and running late. Characteristics of a healthy family comprise a family that spends time together. As a family, every member has priorities that they need to attend to on a daily basis such as school, work, and union membership meetings. Getting lost in your duties can happen very easily, and you will find yourself spending less and less time with the people that you love and cherish. Set aside a day or two in the week where the whole family gets together and have fun activities such as barbeque or playing cards. Ensure that this time is regular so that everyone will now that this day is for family and therefore, clear their schedule. As a working parent, it is difficult to know how to have a healthy family since you are always away. Eating is an excellent way to strengthen family relationships as it is an activity that is done every day and therefore, taking advantage of the opportunity will help with family bonding. Ensure that at least one meal a day you eat together as a family where you and your children can unwind and talk about what has been going on in your lives. Once in a while, you may find that you and your family members are not on the same page and want ways to strengthen family relationships. Engaging in family activities is useful in creating a special bond with your family and maintaining it as well. 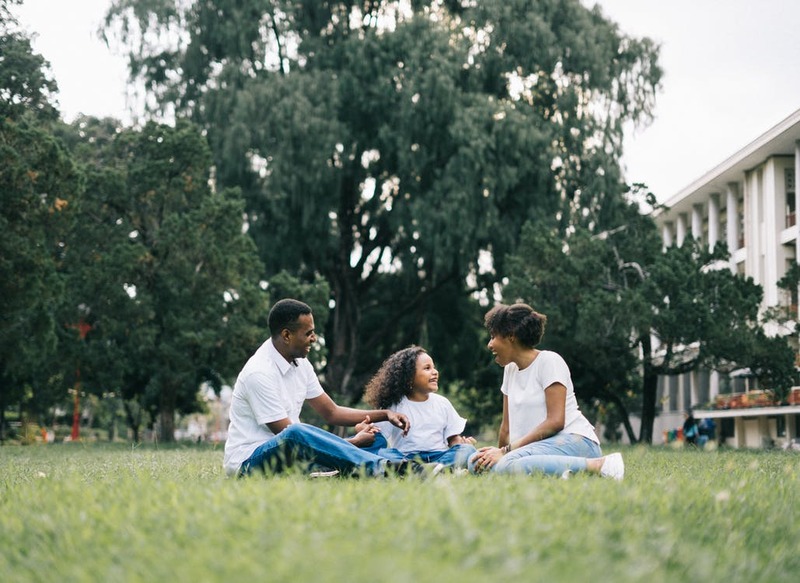 Family activities are a way to unwind and have fun as a family and include activities such as swimming, going on vacations and attending football matches. Pick an event that all members of the family can enjoy and do it once in a while to maintain a close-knit. Many family members wonder how to maintain a good relationship with their next to kin when they are never supportive of them. Support is a secondary human need that every individual wants, and without it, they feel neglected and unwanted. In your family ensure that you encourage and support each other in each endeavour. If your spouse gets, fired support them both emotionally and financially. This will go a long way in improving the bond in your family. How to maintain a good relationship with family is through communication as it is central to all our human interactions. Communication goes hand in hand with listening. While talking to your family members, always allow them to speak as well and listen keenly. This helps in maintaining a strong bond between members. One may find that members of the family always reach out to you when they have a problem because they are aware that you listen and communicate well. How to strengthen family relationships is through performing duties together. As parents, bonding with your children is vital, and more often than not you may ponder on how to maintain a good relationship with them. Performing household chores with them is one great way to do this. Do not delegate household chores solely to them but rather once in a while join them to make it more fun. For instance, you can wash the car as a family or clean the house. This ensures that you bond while carrying out the task. While taking care of your family, take care of yourself as well. If you are not in the right headspace as a parent then bonding with your children will be difficult and it may cause depression and anxiety. Just like one is given a break at work it is also essential to take a break for yourself. Do something that interests you like going out for a drink or with friends. What makes a healthy family is the time and activities that one spends and performs with their family. Being busy all the time and chasing your responsibilities especially as a parent only weakens your bond with your children. 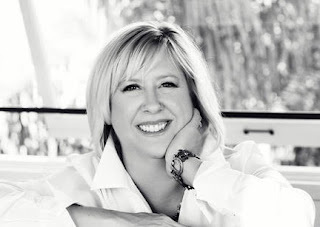 About the Author: Victoria Hill has been writing as a ghostwriter ever since she was in college. Her favorite topics are human development, business communication, modern and pop art, minimalism, and self-development. 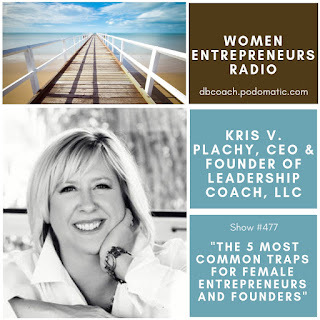 Kris V. Plachy is the CEO and Founder of Leadership Coach, LLC where she helps leaders solve employee problems.. She is a 20-year veteran of leading and managing high performing teams. During her leadership tenure, Kris was consistently recognized as one of the top management performers in her organization. She attributes her success to a strong belief that the only way to achieve outstanding results is by investing greatly in individual and team development. 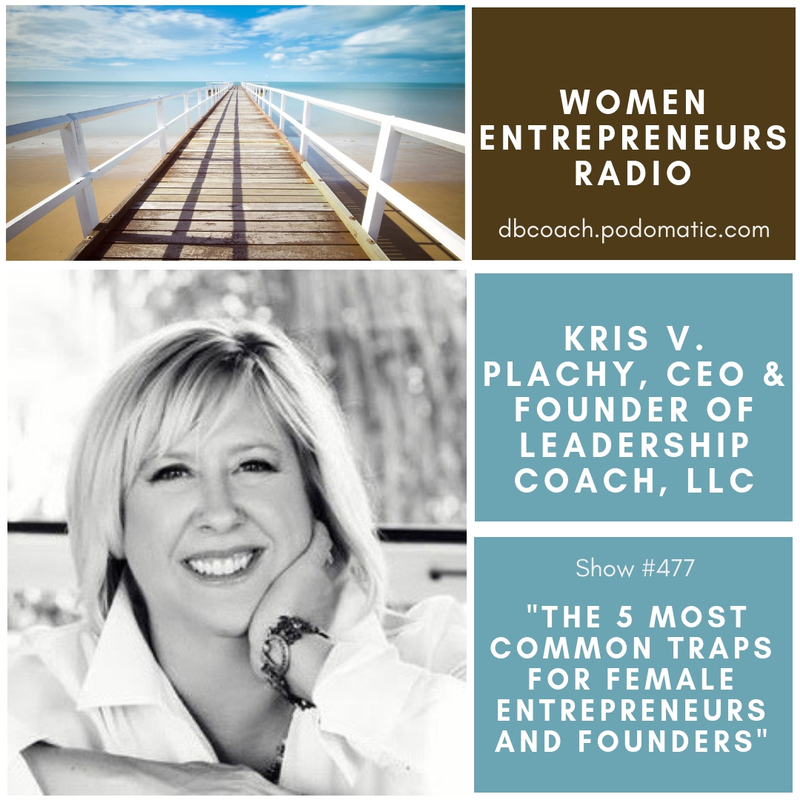 Kris is the host of the How to Lead and She is Relentless podcasts and the published author of “Change Your Think: An Unexpected Way to Think About Managing People”, “5 Truths for Thinking About Difficult People” and “How to Coach Difficult People in Six Steps”. If you’ve ever explored making an app or tech product, then you’ve heard the concept of ‘validating your idea’, or confirming interest in your product before you create it. The goal is to make sure there is a market for your product before investing time, money, and energy in something no one wants. Validating a physical product is equally important but in order to do so you’ll likely need a sample to show your target audience. When I first started on my fashion design journey, I was extremely intimidated by the process of turning my purse designs into physical samples. Would i have to learn to sew? Where would I find a sample maker who could work with leather? How would i know when my sketch was good enough to submit to them? 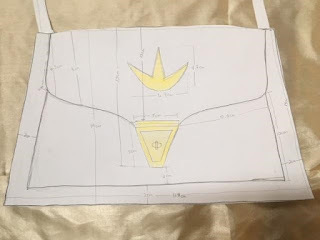 My experience has been full of trial and error but I am excited to share what I have learned about the sample making process. Start by blocking off some time, turning on something inspiring or motivational, and getting out your art supplies. Yes, this is the fun part. The goal is to turn on the artistic side of your brain and let your mind think of new possibilities. Many of us have careers that require us to use our logical, rational left brains so turning on our creativity can be a challenge. I sketch as many potential designs as possible - crossbodies, shoulder bags, etc. Try not to get trapped in a creative box - anything goes at this phase! From these, I narrow it down to a few to proceed to the next step with. A few styles that emerged from a sketch-storming session. 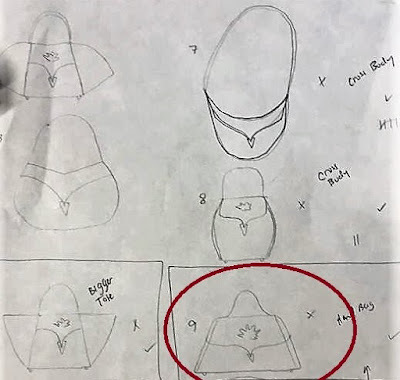 Once you’ve settled on your designs, it’s time to make 3 dimensional paper prototypes, which is the first step in validating your design in real life. This is time consuming, as you’re literally constructing a paper version of your product, but it often reveals basic design flaws that should be addressed, which can save time and energy later. What needs to be changed based on your initial paper prototype? Is the size and shape feasible? If it’s too difficult to construct with paper, your sample maker might have the same issues. Next are flat sketches with exact measurements of each section of the purse. I make a flat sketch like the above for each part of the purse - sides, bottom, top, & handle. I think it’s best to draw these exactly to scale so that you can take accurate measurements while seeing the size in real life. Keep in mind, sample makers often work with centimeters. Before sending you’ll need to add information about the materials that should be used. For easy communication, I use links to Pantone colors and photos of leather swatches to explain the color and texture I want to use. Pantone colors are a global standard recognized in the design community that make it easy to communicate color information across the internet. Pebble and saffiano are examples of leather finishes and the same bag design would look entirely different if it was made out of each. It’s finally time to send all your work to your sample maker. This could go a few different ways depending on who you plan to work with. Some sample makers require you to send all the materials including zippers and locks to their physical location. If this is the case you should make sure they can actually work with your materials. I’ve gotten excited about a sample maker only for her to let me know a month later her machine couldn’t work with my leather. In other cases, sample making will be a function within a manufacturing firm, and they can source your materials for you. I find this to be the easiest way, however many people prefer greater control over their product or have a specific texture or print they absolutely must use for their idea. The initial sample is complete! Getting samples made is just one part of developing a fashion collection. It’s a learning process but very rewarding one when you finally see your idea brought to life. ● Pattern making is not mentioned here, as the manufacturer I work with does this internally. ● It may take a while to find a promising sample maker for your project. I probably talked to 25 before I found one to work with. Be sure to get more than one quote. You would be surprised how different prices can be from one to the next. ● Don’t rush your design and sleep on it before you make final decisions. The sample maker will (hopefully) produce exactly what you give them. Still, it is OK if your initial sample isn’t perfect. That’s why it’s called a sample - it’s meant to be revised and perfected! About the Author: Tara started Angela Mariah handbags as a way for busy professional women to incorporate the simplicity and luxury of the Mediterranean into their wardrobes. Find your effortless chic at www.angelamariah.com - High-quality leather handbags for the thoughtfully curated closet. For many women, self-employment offers an incredibly attractive career path. You get to work for yourself and build the kind of life you want on your own terms. When women pursue their entrepreneurial dreams, they don’t just get by—they thrive. Women own more than 11.6 million firms in the United States, generating $1.7 trillion in sales in 2017, according to the National Association of Women Business Owners, and one in five businesses with revenue of $1 million or more is woman-owned. At home, women business owners with children make their families a priority. Nearly three-quarters of mom entrepreneurs remain their family’s primary childcare provider, according to 99designs, and 69% say flexibility is why they opted for self-employment. At first glance, it seems that women entrepreneurs and business owners get to have the best of both worlds. However, self-employment isn’t rosy all the time. When you work for yourself, you must be prepared to overcome challenges and make sacrifices. In a recent study conducted by QuickBooks Self-Employed, QuickBooks surveyed 500 self-employed individuals to discover how their work impacts their personal lives. The findings reveal that while entrepreneurs enjoy enviable perks, they also experience unpleasant realities. Here’s what it’s really like running your own business. Entrepreneurs often work on Saturday and Sunday. According to the QuickBooks Self-Employed study, 61.2% of self-employed individuals work every weekend or every other weekend. The younger the business owners, the more they work on the weekends. Nearly half (43%) of 18-24-year-olds say they work every weekend, which is 4% higher than self-employed individuals age 45-54. While women business owners are drawn to the flexibility of self-employment, the work still must get done. If women take an afternoon off for a child’s school event, they’ll likely make up that time on the weekend. It’s all about finding a balance that works for you. When you’re your own boss, you create your own schedule. For many entrepreneurs, this means missing out on family or social occasions due to work commitments. About half (49.7%) of self-employed individuals have had to miss a friend’s birthday, while 38% have missed their significant other’s birthday because of work. More than one-third (37%) have even missed a child’s birthday. QuickBooks research reveals that as self-employed individuals get older, they’re more likely to regularly miss family or social events. Among people 45-54, 26% say they miss weekly social occasions in favor of spending more time on their business. When you work for yourself, you don’t get the luxury of taking sick days. More than three-quarters (81%) of self-employed individuals rarely to never take time off for illness. Mom entrepreneurs have the added responsibility of caring for their sick children. Women are 10 times more likely than men to take time off work to care for sick kids, according to the Henry J Kaiser Family Foundation. Moms are also five times more likely to take their kids to a doctor’s appointment when they’re sick. While you or your family members might fall ill from time to time, don’t expect to enjoy any downtime to recover. Small business owners often stress about work—even to the point of losing sleep sometimes. Almost a quarter (23%) of self-employed individuals report that work keeps them up at night several times a week. Self-employed individuals age 45 and older worry the most about cash flow. Half of individuals age 45-54 say cash flow is their biggest concern, with uncertainty about the future listed as their next biggest worry. Entrepreneurs worry about all kinds of things: paying the bills, securing new customers, filling open positions. If you’re sacrificing sleep due to all the worry, try taking a smarter approach to getting shut-eye. As a business owner, you have the flexibility to choose when you sleep, so learn how to make sleep work for you. 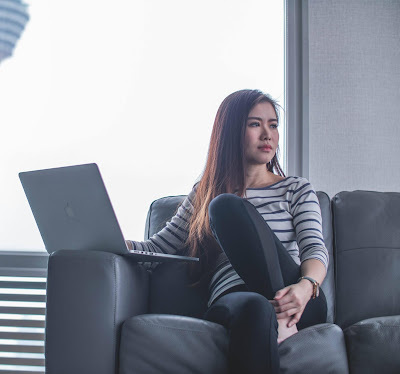 Women entrepreneurs might not often talk about the unappealing side of self-employment, such as feeling lonely or struggling to make ends meet, but those challenges still exist. Nearly half (46%) of business owners struggle with cash flow and 30% worry about getting paid on time. Running your own business comes with many hurdles but also many joys. To build your best business and the kind of life you dream of, consider the challenges you face as an entrepreneur and take steps to overcome those issues. 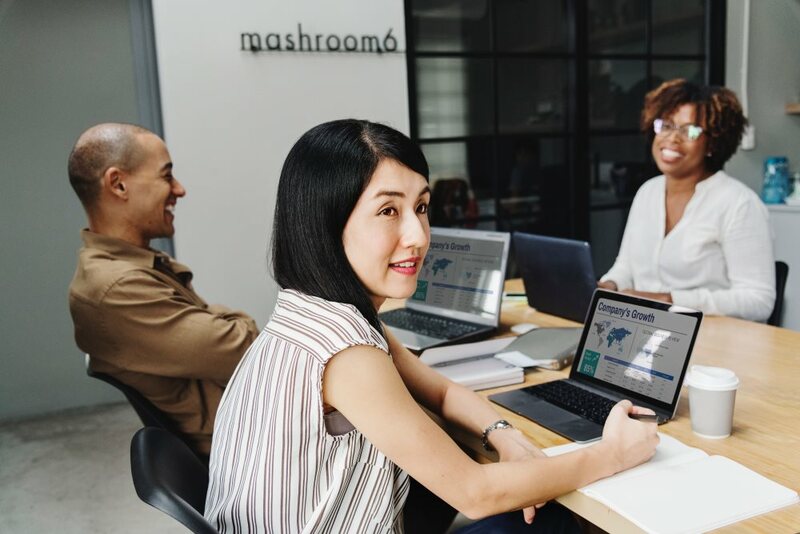 There’s a world of women-led companies you can learn from, so join a professional organization, partner with other female-owned businesses or seek a mentor for advice. Amazing things can happen when you commit to succeeding in the face of any obstacle. Being an international coach and entrepreneur is one of the best decisions I ever made and enables me to work from anywhere - quite literally! In fact, it’s my laptop lifestyle that has given me the freedom and flexibility to work where I want and when I want, and it’s why I’m encouraging more women to do the same. With my husband working from home too and our daughter going to a Montessori School from 8am and home by 1pm, we are often on the beach all together in the afternoons. We’ve created a lifestyle with remote working that allows us to leverage the US $ and live in South Africa. It’s currently R15 to $1 which allows us to live in a lovely big house 30 seconds from the beach! My husband helps me with creating videos and personal branding shoots that I can use for my brand. It’s a win-win for both of us. We’ve visited 25 countries so far, lived in the UK for 12.5 years then lived in The Turks & Caicos Islands for 2.5 years. Now we’re based in South Africa, but we’re looking at doing some further traveling again in 2019! I never want to get stuck in the “rat-race” again. I did my time in London, commuting 1.5 hrs to and from agencies as a freelancer retoucher. I learned a lot during those years but the hustle and bustle, busy city-life is not for us as a family! I now run a coaching and training business helping creative business owners Confidently go from expert entrepreneur to money-making mentor. I’m able to do Skype sessions from anywhere with good wifi. Moving from service-based offerings like social media management (yep, I had an agency too!) into coaching/ consulting has allowed me to gain major leverage of both my time and earning capacity. Get clear on who exactly you want to serve. I get all my clients to create a Brand Hero (credit: Jonah Sacks from Winning The Story Wars). Once you’ve gone deep into who you want to work with, you’ll know how to write copy that attracts them and create a brand that speaks directly to them. Create one main Signature Offer that’s preferably a high-ticket price point. Remember, it’s just as hard to sell low priced packages or programs than it is selling high-priced. It seems counter-intuitive but it’s so true! Get super visible. Posting inspirational quotes by Mandela and Gandhi isn’t going to cut it these days! People need to know that you have an opinion and that you’re the expert. Show them that you’ve got the goods but showing up on Livestream and giving lots of valuable content. Get the to the point quickly. People don’t have time to waste anymore. 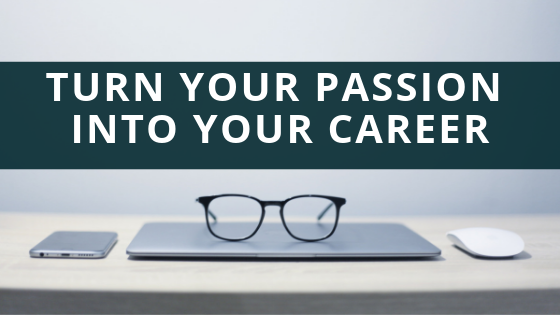 Create a personal brand. The stakes are higher these days. The barrier to entry is low in the online world so you need to make the effort to stand out and show the world you mean business. Once you’ve brought in enough income invest in a branding and web designer, good photographs and possibly a brand video. All of these things will elevate you and your brand and you’ll be able to charge higher prices for your services. Keep going! You have to be in it for the long game. Business takes time. It requires consistent action and showing up day in and day out. Create a strategy and stick to it. Get help as soon as you can so that you’re not the one doing everything yourself. Make sure that you work on your mindset and fill your head with plenty of motivational audios to ensure that you keep your head in the game! Chanelle’s background lies the design departments of top advertising agencies around London as well as for world-famous photographer, Mario Testino. For over a decade, Chanelle ran a successful photography business in the UK and photographed weddings around the world including many exotic locations such as Bali, Santorini and Morocco. 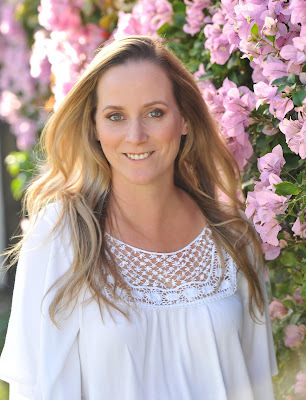 Armed with new experience and qualifications, in 2016, Chanelle transitioned from photography and social media marketing to coaching female clients across the globe and hasn’t looked back. She now concentrates on coaching and consulting entrepreneurs as well as teaching via group programs. A KPMG report compiled for the Indian Staffing Federation, says that the temporary staffing sector in India will grow by 74% in four years. The Indian market, currently worth $ 3.04 billion is poised to grow to $5.3 billion by 2021. When it comes to the hiring needs of companies, they change according to the company and the sector. So depending on level of engagement, exclusivity, long term prospects and other factors, many different recruitment models are present in the market. Here we will look into few examples. Contingency Hiring: In this type of hiring, whenever a company has an open position, it gives it to many consultants at the same time and asks all of them to source candidates. Only the consultant whose candidate is offered, gets money from the client company. Here the recruiters are not assured any fixed pay. Their revenue depends entirely on whether they can close positions or not. As the risk factor is high here, consultants charge more percentage for such type of recruitment. Generally companies pay the recruiters in terms of a specific percentage of CTC of the candidate. This is the most prevalent way of recruitment. Retainer Search: Here a Recruitment Consultant works exclusively for specific requirements from the client. Payment is divided into two parts. He gets a fixed amount from the client for conducting the search, which is called the retainer fee. Other than that, if he makes offer, he gets extra money. For recruitment of senior executives like CEO, Sales head, etc, a very focused approach is required. In those cases, this method is preferred. Exclusive Requirements: In certain cases, companies connect with recruiters for exclusive requirements.The recruiters in turn give an assurance to the client to close the position within a specific time period. If the recruitment consultant is not able to close the position in the agreed time, he needs to either close the position with a lesser commission or bear some penalty. All the hiring conditions are clearly decided in the contract at the beginning. Here the percentage of commission is less than contingency hiring because there is no competition. Recruitment Process Outsourcing (RPO): The RPO model is gaining a lot of popularity at present. Here a client company outsources the entire recruitment process to a consultant company. The recruiters from the consultant company can either sit in their own office, or at the client’s premises. Here, the RPO partner is responsible for closing all the requirements. They take care of the whole recruitment process right from sourcing, scheduling, interviews and offers to join. The benefit the client company gets is that -- they don't have to manage their own recruitment team, which substantially reduces costs. But on the other hand risk is high, because if consultants don't understand the company culture and hiring plans properly, it can become disastrous. So, companies should choose recruitment partners with care. Because here we are talking about high stakes and longer duration engagement. Outplacement: This concept came into picture during the recession period. Here If a company wants to lay off some employees to cut costs, they can hire a consultant to place those employees in other companies. The recruitment cost is borne by the current employer. Outplacement is not very popular till date. Executive Search: Executive search teams only focus on senior level positions like: CEO, CTO, Sales head and similar kind of requirements. The method of sourcing for such positions is quite different from junior and mid level requirements. Here the number of potential candidates are less and they don't prefer to put their resume on the portals. So head-hunting, searching in networking sites and personal networks are the preferred way to hunt down candidates. For such recruiting, the commission is much higher as compared to other level positions. The team of Executive recruiters do retained search activity also. Other than the above models, recruitment can be divided into two broad categories. Permanent staffing: Here the candidate, once recruited, stays in the company’s payroll as a permanent employee. Temporary staffing: In case of temporary staffing/contract staffing, the candidate remains in the payroll of the consultant company through which he is recruited into the client company. He works with the client company for a limited time period. Generally companies prefer this model if the project is small or uncertain. This model reduces their long term costs. Because of its benefits, this model is gaining popularity with companies nowadays. About the Author: Kyra is a Hiring Director at Alliance Recruitment Agency – an IT Recruitment Agency. She specializes in helping with international recruiting, admin recruitment agencies staffing in Dubai, HR services and Careers advice service for overseas and international businesses. 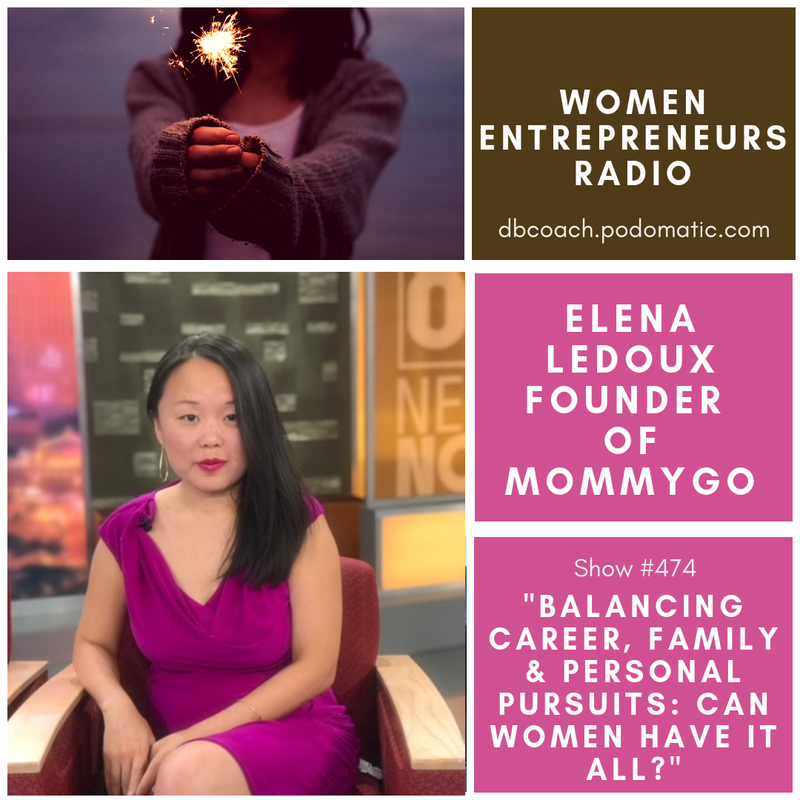 Topic: "Balancing Career, Family & Personal Pursuits: Can Women Have it All?" 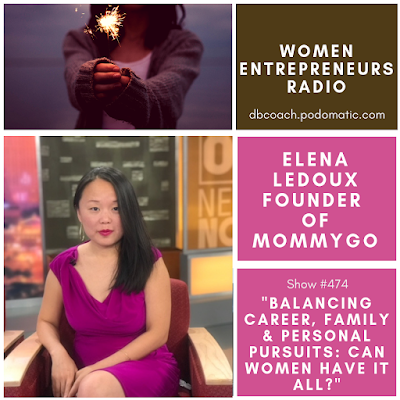 Elena Ledoux is the founder of MommyGO - world’s first natural energy shots for moms, based on the Japanese matcha. She is also a co-founder of Superb Maids, the #1 professional house cleaning company in Las Vegas, according to the Review Journal, servicing over 3,700 clients. Before the entrepreneurship, Elena enjoyed working as a defense attorney for a busy private firm in Honolulu and prior to that - clerking for two civil division judges in Woodbury, NJ. She holds a Masters Degree in International Economic Relations from Tashkent State Institute where she unsuccessfully studied Chinese and Arabic. And Juris Doctorate from Widener University in Wilmington, DE where she successfully studied law. Elena is active in assisting fellow immigrants to overcome assimilation challenges and has written a book “98 Tips for Achieving the American Dream.” One of the best experiences of her life was taking a two-year sabbatical with her husband and two sons to live in Europe. She speaks Russian and Italian. Siberian cat Kuzma completes Elena’s family. Small Business Financing: Which Option Is Really Best For You? Equity, Debt, or Convertible Debt? Raising capital through equity is a popular, if not the most popular choice, for entrepreneurs to pursue. Investors buy stock in your company, giving them a financial stake in the future success of your business. 1. You set a specific dollar amount for what your company is worth. 2. Based on that valuation, investors agree to give you money in exchange for a certain percentage of your company. 3. Investors receive compensation based on the percent of stock they own once you sell the company or go public. ● All your cash can go toward your business rather than loan repayments. ● Investors take on some risk and don’t have to be paid back until you’re doing well. ● Investors often have valuable business experience. ● Since investors have a financial stake in the success of your business, they are motivated to offer sound guidance and valuable business connections. ● Equity financing has the highest legal bills and takes the longest time to close, making it the most complex small business financing structure, says Forbes contributor and growth consultant George Deeb. ● Selling shares of your company makes it very difficult to get them back. ● You will most likely lose control of part of your board to your investors. 1. You borrow money with an agreement to pay it back with interest within a specific time frame. 2. You will also have to offer your lender some form of collateral, which are liquid assets you will give up if you cannot make your loan payments. ● You will raise capital much quicker than with equity small business financing. This is especially true of smaller cash amounts. ● You can keep 100 percent of your company, along with 100 percent of its profits. ● Interest payments are tax-deductible. ● You must be completely confident you can make your loan payments in cash each month. If you don’t, lenders can make you sell your business in order to get their money back. ● Interest payments can become one of your largest business expenses. 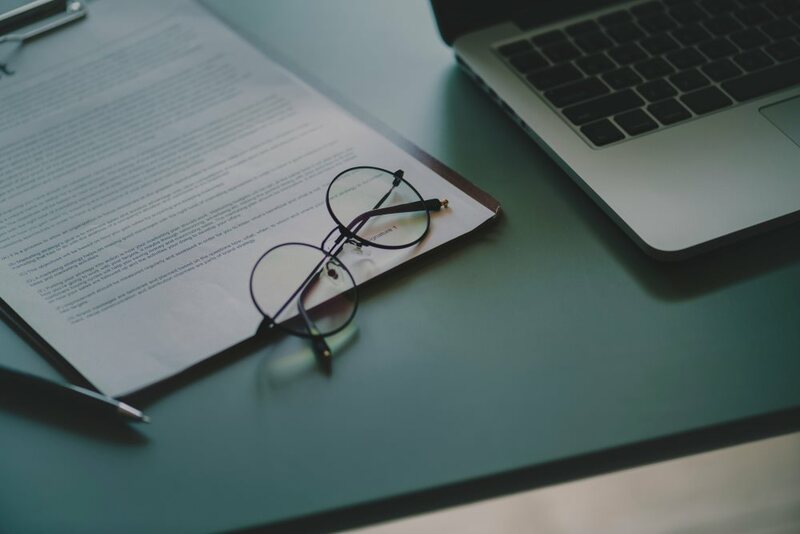 ● Commercial lenders will demand small business owners to personally guarantee the loan and offer personal assets as collateral, even if your company is structured as a corporation or limited liability company, according to Forbes. 1. You will negotiate an interest rate to pay back the loan. This will also be the interest rate for those lenders who decide not to convert any debt into stock. 2. The details concerning how lenders can convert the debt into equity are negotiated at the time of the loan. For the most part, that means agreeing to give lenders a discount or warrant on an upcoming round of equity fundraising. 3. You will also set the valuation cap, or maximum company valuation, at which lenders can convert debt into equity. If investors decide not trade in their loan for shares at this predetermined valuation level, they can no longer do so at a future date. ● Transaction costs are low and the process moves quickly. ● If you don’t want to set a company valuation, which involves a lot of uncertainty and risks for new startups, a convertible debt structure for small business financing makes a lot sense, says, Covestor CEO Asheesh Advani. ● Using convertible debt protects investors from dilution in future financing rounds. ● Investors are uneasy giving money without knowing the exact share of a company they will own, and you might have to offer steep discounts on equity in order to get them to agree to the terms. ● You may be forced to set a valuation before you are ready in order to avoid unaffordable loan repayment expenses. About the Author: Alex began his career as a scientific legal consultant and then as a journalist researching and reporting on health policy and health sciences. At UpCounsel, he enjoys researching and analyzing data to help businesses make informed decisions. In his free time, Alex is working on a documentary. This article originally appeared on UpCounsel.